The installation’s message of ME is delivered to US by an artist who is best known for her artistic expression of thoughts in the world of feminism and politics, well told in her interview with The Standard. 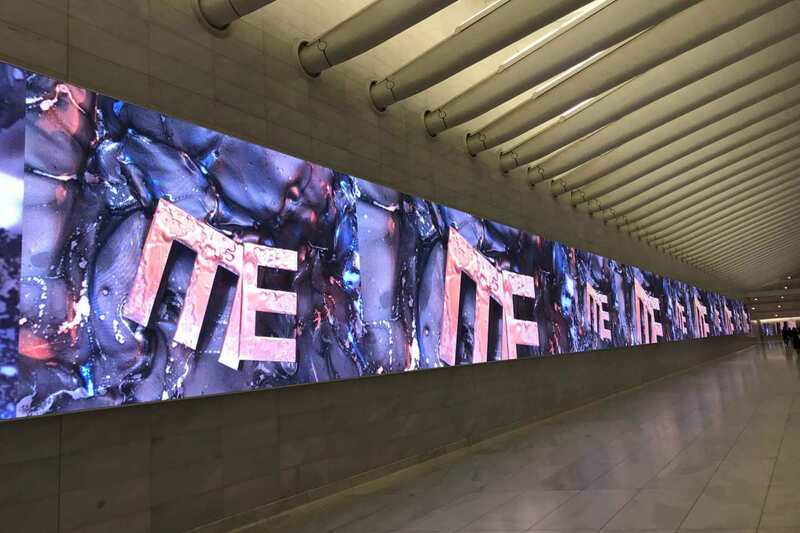 The space under the Oculus, which has been used for digital advertising, has reproduced the artists video to accommodate Westfield’s 19 screens, including a screen that is four-stories-tall and another that is 280 feet long. This is not the first digital billboard exhibited by the artist. Her video Green Pink Caviar graced the lobby of the MoMA for over a year, and was also shown on digital billboards on the Sunset Strip in L.A., and the Creative Time MTV billboard in Times Square, NYC. I’m Not Much But I’m All I Think About first appeared in 2011 at a Salon 94 Bowery art show. A recent retrospective of Minter’s work entitled Pretty/Dirty which was part of the Museum’s “A Year of Yes: Reimagining” was on view at the Brooklyn Museum. And she was part of The Water Tank Project. Marilynn Minter. Image via her website. I’m Not Much But I’m All I Think About by Marilyn Minter will be on view until February 8th located throughout Westfield’s underground concourse and public spaces at the Westfield World Trade Center. This is the first in what will be a continuing video art program organized between Westfield and The Art Production Fund at this site. Installations will be on view from 4-6 weeks each. Next up ~ Alex Prager and Rashaad Newsome. As we continue to follow the artist, we look forward to what looks to be her next project ~ Dear Ivanka, with Halt Action Group. 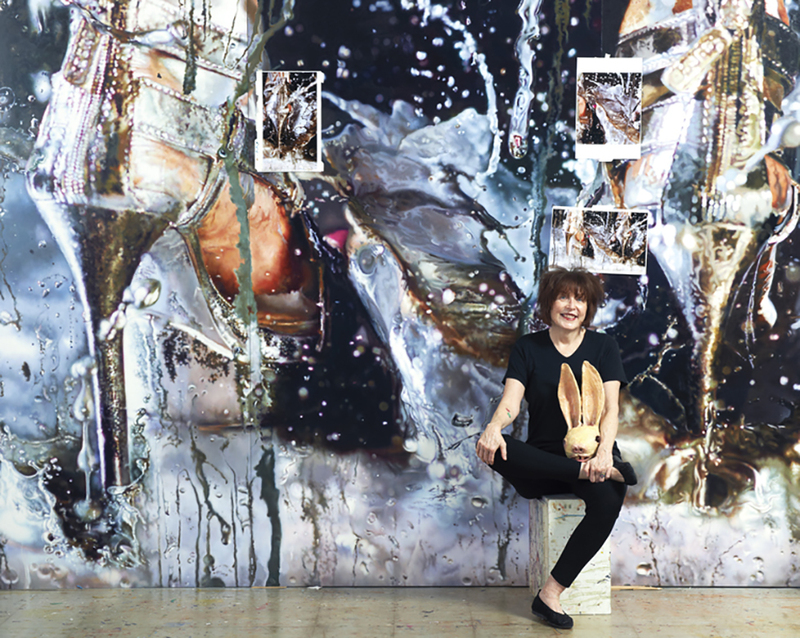 A New York-based artist, Marilyn Minter currently teaches in the MFA department at School of Visual Arts.